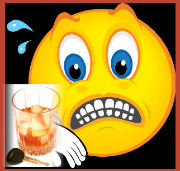 Alcohol affects the Central Nervous System of a person. The sense of judgement is impaired and the ability to control steering is affected. A teenager killed on the national highway with two other friends after losing control of the wheel as they returned from a party... Even though we may have not been hit by a story such as this, yet, we all agree that drunk driving is a life risk act. The task of a driver on the road is very tough. He has to overtake the slow moving vehicles, allow fast moving vehicles to overtake, move parallel to other in the adjacent lanes and coordinate with heterogeneous traffic that crosses the road at random. Maintaining presence of mind is very important and many decisions is to be taken in a split of a second. A driver who is drunk cannot perform these tasks and would endanger traffic safety. Alcohol affects the Central Nervous System of a person. Even at BAC (Blood Alcohol Concentration) of 0.05 per cent the sense of judgement is impaired and the ability to control steering is affected. It is a truth that abuse of alcohol results in increased incidence of traumatic vehicular injuries and deaths. Alertness in perceiving a danger in the road and reacting to it quickly. A broad range of vision to take note of events taking place on either side of the road without turning head in either direction. Ability to perceive distance between two moving objects and their relative position in space. Capacity to distinguish accurately between three traffic light colours e.g. green, amber and red. Ability to drive the vehicle safely during night hours. Ability to recover the glare effect quickly. "117 Driving by a drunken person or by a person under the influence of drugs - whoever while driving or attempting to drive a motor vehicle or riding or attempting to ride, a motor cycle - (a) has in his blood, alcohol in any quantity, howsoever small the quantity may be or (b) is under the influence of a drug to such an extent as to be incapable of exercising proper control over the vehicle shall be punishable for the first offence with imprisonment for a term which may extend to six months or with fine which may extend to two thousand rupees or with both; and for a second or subsequent offence, if committed within three years of the commission of the previous similar offence, with imprisonment for a term which may extend to three thousand rupees, or with both".